Home » General » Is There An Afterlife? It’s a question that mankind has pondered for millennia. Is there an afterlife? Is there a God? Many religious leaders, scientists, and philosophers have come up with answers to these questions, but how can we know for sure? The only to be absolutely sure is to die, right? Wrong! For the past one hundred and fifty plus years, scientists and researchers have been painstakingly collecting evidence that not only suggests, but blatantly tells us, that there is indeed an afterlife. Nowadays, this evidence is readily available for the general public to absorb. So why doesn’t anyone acknowledge this supposed evidence? That’s a great question which, like all great questions, comes with a complexly simple answer! First of all, no one investigates this evidence because no one is actually aware that it exists. Although you could fill a library will the copious amounts of concrete, scientific evidence, that has recently been collected, mainstream scientists refuse to accept it. In fact, most of them don’t even admit that it exists! Why? Because, like all the greatest inventions and discoveries, it doesn’t conform to their current view of the world and of quantum physics. Acknowledging the truth about death would forever change every single branch of science, and it appears that our mainstream friends aren’t prepared for that yet. If there is one things to be certain of though, it’s that there is a multitude of scientific evidence that could begin to turn the most hardened atheists into believers. If the scientific leaders in question actually familiarized themselves with the evidence, they would realize that how foolish their arguments against it are. I have read many books and articles by atheistic scientists attempting to refute some form of evidence that suggests our minds easily survive death. The thing is though that they simply cannot refute the majority of evidence they attempt to. Often times they resort to claiming that evidence is not valid simply because it is so far from the norm. Someone ought to remind them that, at one point, the concepts of black holes, alternate dimensions, and alien life were so far-out that those who dared to dabble in them were deemed quacks and dreamers – and now they are the leaders in various fields of astronomy! This very same outcome will eventually happen with death research as well. Even though now one cannot investigate phenomena such as out-of-body experiences or after death communication with risking one’s entire reputation in the scientific community, one day the pile of convincing, legitimate evidence will become too much for the mainstream scientists to ignore. They will have to research death, and what they find will change the world forever. The blame for our society’s ignorance on the subject of death cannot be placed entirely on the scientific community. There are other reasons as well. Another group that is partly responsible is that of the mainstream religious leaders. Although most religions do believe in an afterlife, not one major one religious group has been able to accurately represent the afterlife and give the dying and bereaved the comfort they deserve. Christians, Jews, Muslims, Buddhists, Hindus, and just about everyone else all get into heaven! Because the deeply religious refuse to believe that they may be wrong, they’ve shut themselves off to new information and have thus become archaic forms of worship that are now failing to provide us with the answers we so zealously crave! More and more people are beginning to turn away from both religion and science because of their refusal to move forward! Since mainstream scientific leaders refuse to look into any evidence suggesting that death is not the end, and because religious leaders refute new evidence suggesting that they may not be one hundred percent correct in their beliefs, it appears that we can no longer rely on either group to quench our thirst for knowledge and truth. But, if we are so dissatisfied with what we are being told, why don’t we look elsewhere? Well, I think that we don’t look because we’re subconsciously afraid to . What if we research for ourselves the possibility that the afterlife exists, and we come up blank? What if we find absolutely no evidence that suggests death isn’t the oblivion we’ve always feared? People are afraid that the truth won’t be comforting. They’re afraid to find out that their lost loved ones really are gone forever, that heaven is just a forlorn hope. Of course, once you look at the evidence attained in the last century and a half, you realize how foolish that fear is but, before you start your investigation, it can be tormenting! Fear not, my friends, the answers are out there – and they’re all better than you’ve hoped! In my personal opinion, near death experiences (NDEs) are in fact the most convincing and exciting proofs of the existence of heaven. For those of you who are not familiar with the term, an NDE refers to a person reporting to have traveled out of his or her body and witnessed heaven with their own eyes. Contrary to popular belief, one doesn’t have to be dead to have an NDE, but those that do happen in the temporarily deceased are often the easiest to prove the validity of. For example, when a person dies during surgery and, once resuscitated, reports hovering over his body and can tell the surgeon what was said in the operating room and what surgical tools were used while this person was clinically dead and had no heartbeat, it is very hard to dispute. Of course, that’s the least exciting part of these experiences. Near death experiencers also report going through tunnels into a warm, loving, spiritual light where they feel more peace and love than could ever be imagined by those on earth. They also report meeting with deceased loved ones who tell them that they’ve got unfinished business on earth and are not ready to die yet. These could not be mere dreams! If someone is brain dead, they cannot use their material brain. Plus, were it a dream, they could never report the exact conditions in the operating room during their death. One of the easiest ways to prove the these people really experienced something extraordinary is by simply examining their fear of death – or rather, their lack thereof. Most, if not all experiencers return completely free of their fear of death. In fact, they look forward to the day when they will get to rejoin their loved ones in bliss. You’ve got to admit, that is convincing! 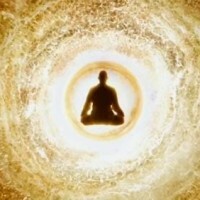 If you are interested in near death experiences, check out Near-Death.com. The creator of the site has done a wonderful job collecting hundreds of reports of NDEs and organizing them by categories such as causes, duration, and what they experienced. Another exciting category of afterlife evidence is after death communication. It appears as though the dead can and do make contact with us in ways that are impossible for us to doubt. The easiest ways for the deceased to send us concrete messages seems to be through mediums. I know what you’re thinking, that mediums give such vague responses that there is no way to separate an actual medium from a creative charlatan. Nowadays that may be true, since most mediums today are physic mediums, which means that the deceased are only able to send them cryptic images that could have a variety of meanings. I’ll admit that such mediums might not be too convincing to skeptics, although they are certainly real and quite talented. But, in the earlier part of the twentieth century, there was a certain type of medium called a deep-trance medium that could really give you the proof you crave! These incredible mediums would, as their name suggests, go into a deep trance and allow the dead to control their bodies to some extent. Using this method, they were able to convey messages such as “Look on the bookshelf to your right. On the second shelf, get the fourth book in. On page seventy-two, line three, the eighth word is ‘shopkeeper’ and that same word is also on line eight, as word six.” Bear in mind that these mediums were in rooms that they had never been in before where they were doing this, and they had an accuracy rate of over ninety percent! That’s far to high for them to be faking it. A variation of this type of medium was the direct-voice medium. As with deep trance mediums, there are only a few of these people left alive today. Direct-voice mediums would actually create a voice box somehow that the dead could use to produce their own voices. To listen to some seances with direct-voice medium Leslie Flint, go to ADCGuides.com. You won’t be disappointed! The last bit of research that I’d like to discuss here is the scientific study of consciousness and the mind. Mind you, these studies are not something that mainstream scientists would accept (from reasons described above), but they were conducted by reliable, brilliant, honest people who have risked their careers, and thus their very livelihoods, to present this evidence to general public! For the purpose of our little discussion here, mind refers a person’s consciousness and self, whilst brain refers to the hunk of physical mass inside the head. There are several, independent studies that suggest that our minds can actually access information before our brains can. For example, people, when focused on a certain location or person, could determine what was going on at that place, or what was that person was doing/wearing with an accuracy rate was far higher than should have been possible. This practice of looking at things without physical eyes is known as remote viewing. Believe it or not, it is actually a known, accepted fact that the United States Government hired several remote viewers during the cold war to spy on Russia! Please remember though that remote viewing is just one of hundreds of things that cannot be explained by mainstream science – there is so much more! To find out more, I would suggest you read R. Craig Hogan’s book, Your Eternal Self. If you’re unwilling to shell out for a book you’ve never heard of, know that you can read it for free at YourEternalSelf.com. So what does all this evidence actually say? Well, people have written fat books that can only summarize the conclusions drawn from this evidence, but perhaps I can give you a taste. All reports seem to suggest that after death we enter a blissful area called the Summerland, which is just like earth, but without anything negative. This area is completely free of religion, and there are no accounts whatsoever the vengeful God we all fear meeting. Of course, God does exist, but He loves us far to much to ever judge us! Instead, we judge ourselves. Overall, the afterlife, it turns out, is better than we could’ve hoped for! Well, there you have it! I’ve explained the major types of evidence that, joined with hundreds of other types, confirm our hopes for a blissful, post-death existence! I realize that most skeptics are not going to want to go buy books that they’ve never heard of, about a subject that they doubt is true. It is for that reason that I’ve given you three reliable, free, web resources to help you discover the truth for yourself. 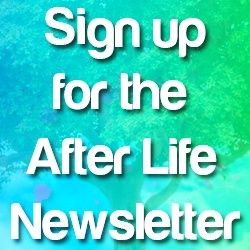 If you find yourself interested in this topic, and have questions, please join me on Afterlifeforums.com, where I, along with others, answer questions about the afterlife and just how one goes about proving its existence! Good luck on your journey!